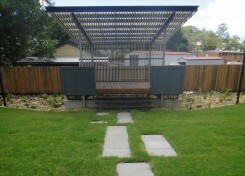 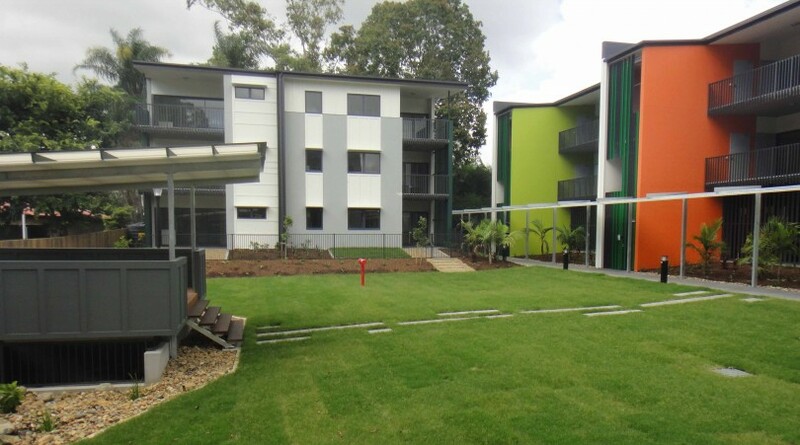 Garden Terrace, Newmarket, Brisbane, Queensland. Planning approvals including Material Change of Use and Operational Works approvals can be simplified by contracting Element Design to provide specialised services to ensure a smooth path through the approval process. 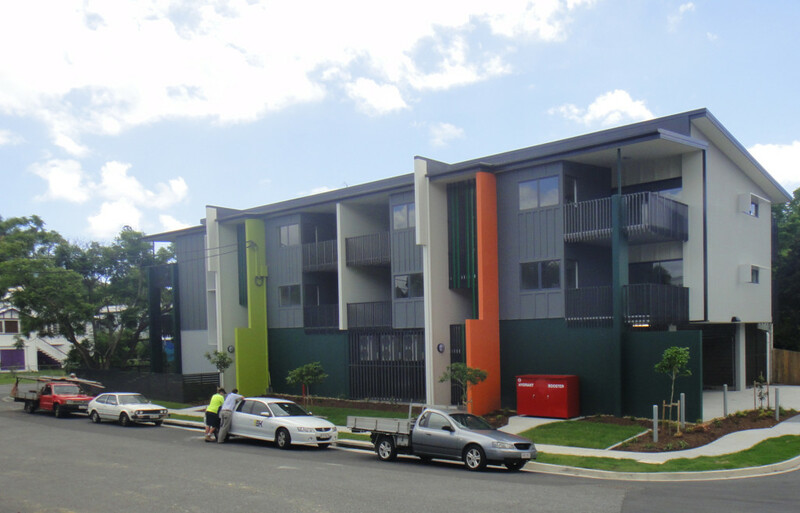 Unit developments, Duplex developments, High rise residential developments are all project types that have been successfully completed by Element Design. 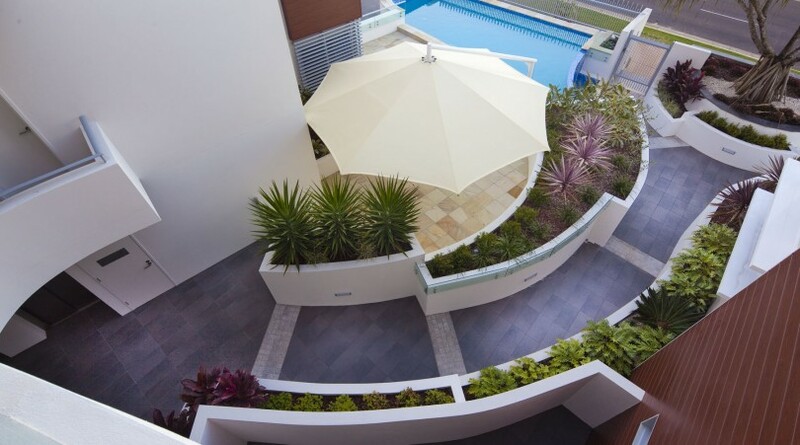 Courtyard gardens, specialised pool design, open space public areas, podium planting and feature landscape gardens form the important fabric for a development to be held together by. 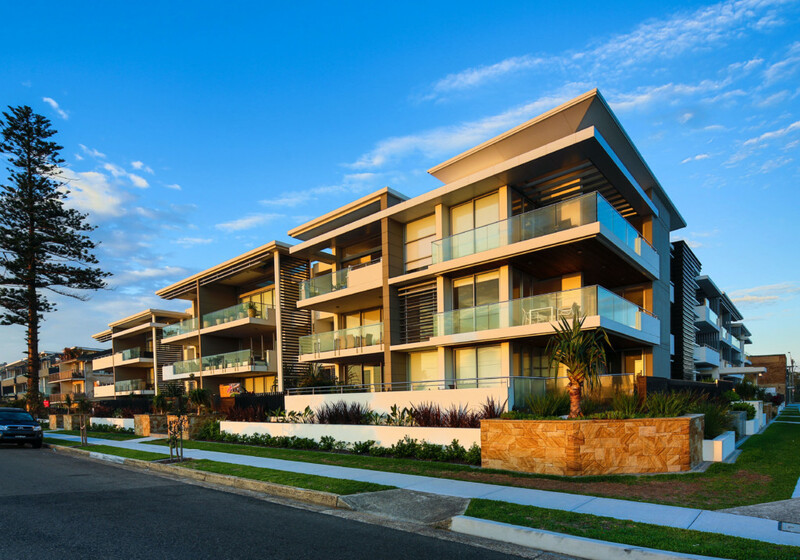 Low density, medium density and high density formats of multi residential projects require spatial design skills to provide successful outcomes for both developer and occupier. 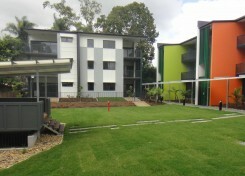 A contemporary Unit Development with large turf central court. 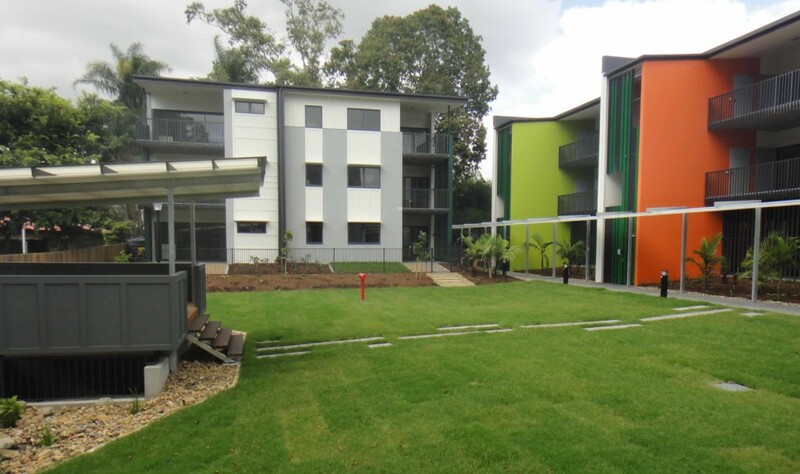 Planting areas are generous and strategically located to assist with attenuating the built form. ‘Ocean’ Narrabeen Beach, New South Wales. 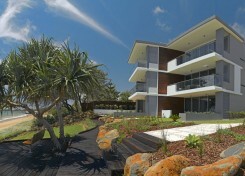 A prestigious coastal site with a northern aspect. 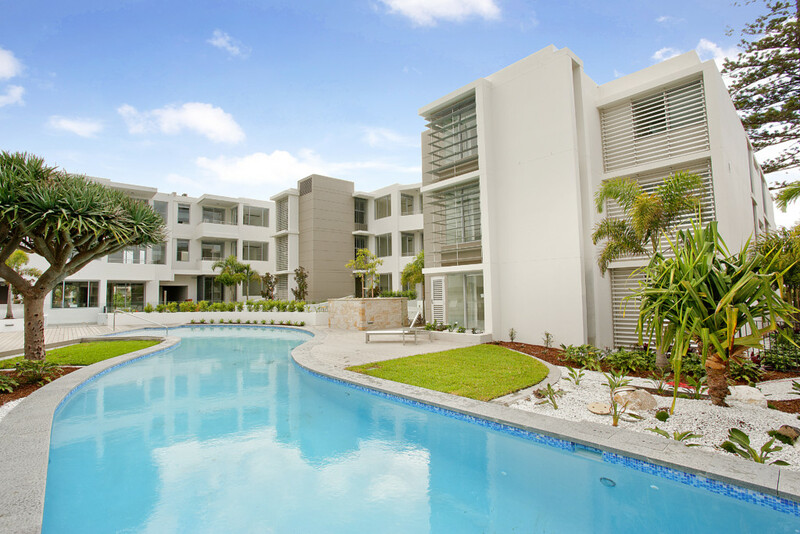 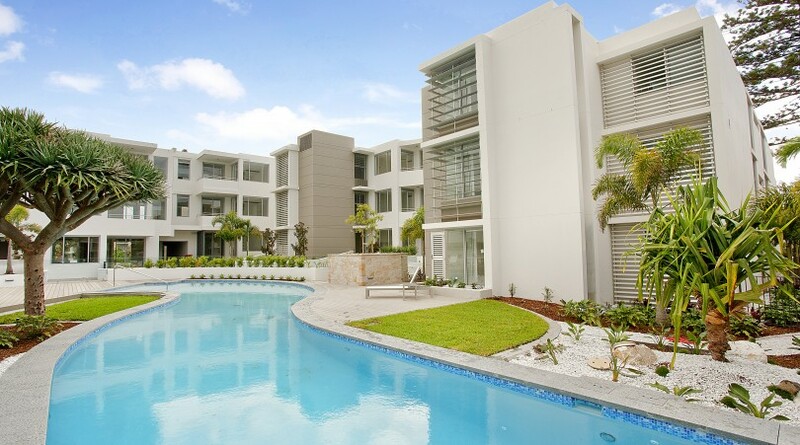 This luxury development features large internal gardens to complement a resort style pool. 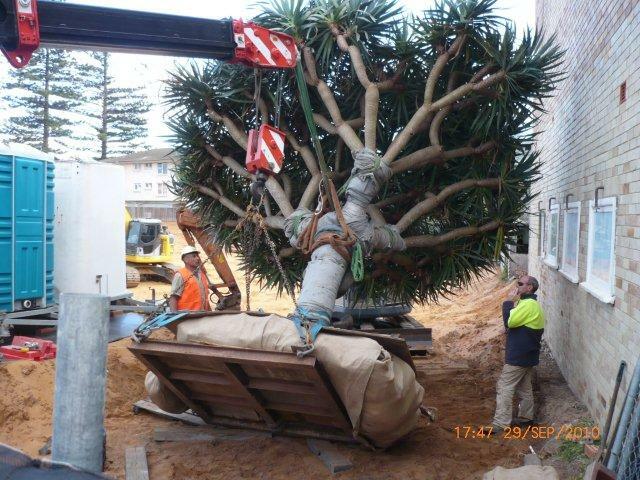 A magnificent Dracaena draco was carefully lifted from the site and stored during the construction phase. It was then successfully transplanted to the pool area (see pool photo above). 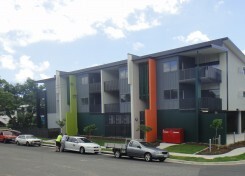 Miller Street, Bargara, Queensland – Award Winner. 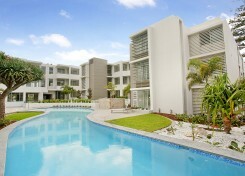 UDIA “Best of the Best” Award Winning Luxury Apartments for Cabe Developments. 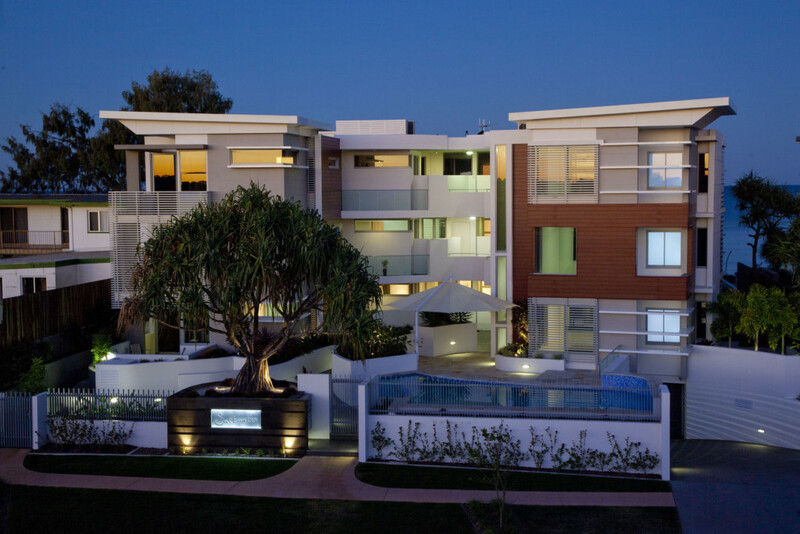 This exclusive, prestigious beach front project has two contrasting environments. 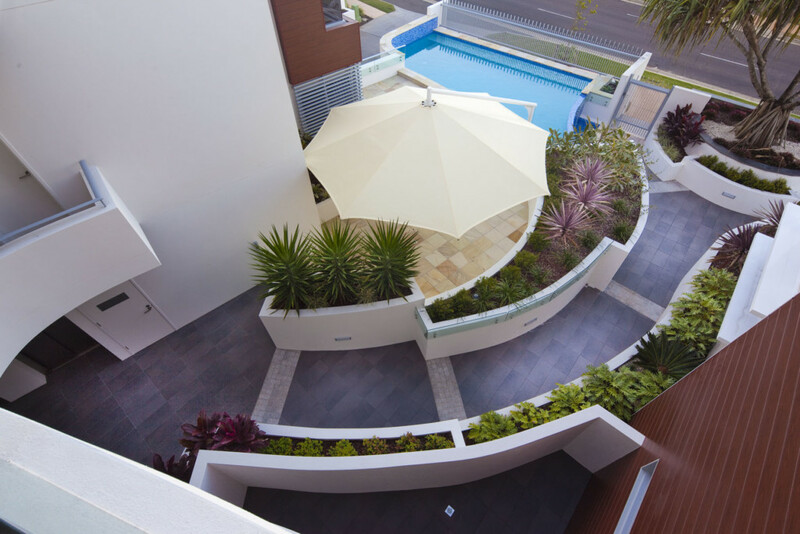 An exposed coastal frontage with beach planting, boardwalks and dry-stack rock retaining walls, contrasting with a sheltered court with pool and a feature advance Pandanus. 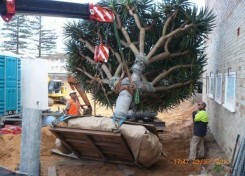 An onsite mature Pandanus was carefully transplanted and held on site during the construction phase. 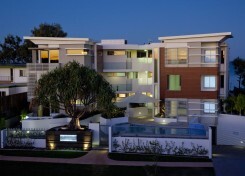 The Pandanus was then lifted into place attenuating the built form while complementing the surrounds.